Mavala Double Lash is a nutritive treatment that enhances eyelashes by lengthening and strengthening them. Stimulating faster hair growth, the Switzerland-born product is applied at night before bed and contains a multi-protein mixture that not only causes existing lashes to grow longer but additional lashes to grow in. Unlike other lash enhancement products that are applied to the eyelash line on the upper lid, Mavala Double Lash is brushed directly on to the lashes like mascara. How does Mavala Double Lash Work? Mavala Double Lash is geared towards those who want the appearance of longer, thicker lashes. The product formula contains several multi-protein combinations that work overnight to lengthen existing lashes and split bonds to create more hairs. The mixture also contains several moisturizing ingredients that soften and condition dry, damaged and brittle hairs, making them appear shinier and fuller. Based on non-biased online reviews written by people who have used the product, Mavala Double Lash not only lengthens and conditions existing lashes, but encourages the growth of new hairs, resulting in fuller, bushier eyelashes. Most people who used the product said that they were very satisfied with it and preferred it to other lash enhancing products. Though the product is supposed to show full results in two to three weeks, many people said that it took longer for them to notice really full eyelashes. However, the results were so good that people did not mind how long it took to achieve them. Many people were also very impressed with how well the product conditioned and repaired dry hairs and appreciated the brush applicator as opposed to an eyeliner wand. 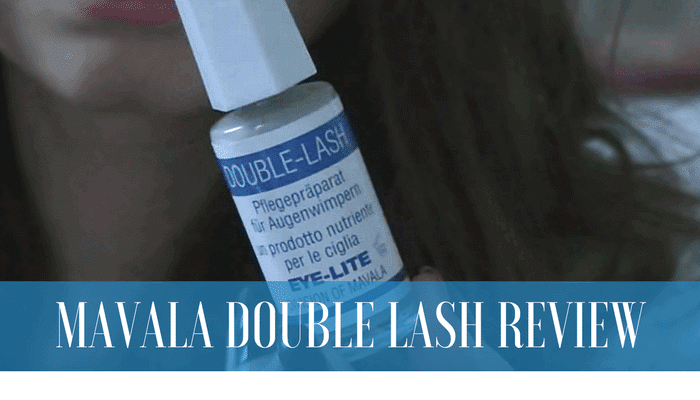 Retailing for less than $20, the product is considerably less expensive than other similar products on the market, which is one reason why people bought Marvala Double Lash in the first place. However, the product is not sold in popular retail stores and must be ordered online. Easy-to-use brush applicator wand similar to those in mascara products. Great for conditioning and repairing dry, brittle and damaged lashes. Retail price is less than $20, making the product very affordable. Both lengthens lashes and encourages new hair growth. Product is made from all natural ingredients. Is difficult to find in popular drugstores and is easiest to buy on the Internet. Though the product is supposed to work within two to three weeks, it often takes longer to see full results. Because of it is all natural ingredients, there are few side effects associated with Mavala Double Lash. However, like all eye products, it could cause irritation if it comes directly in contact with the eyes. Based on customer reviews, Mavala Double Lash is a great product that works well. At less than $20 for a bottle, the product is inexpensive and, while it may take longer than advertized to achieve full results, it is worth the wait. Not only does the formula work to repair damaged lashes, it increases hair growth and results in fuller, thicker and more prominent eyelashes.